Click Here To Register For The Pro Package. 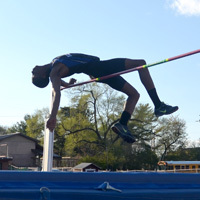 Click Here To Register For The High Jump. Click Here To Register For The Long Jump. 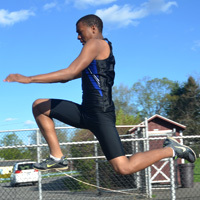 Click Here To Register For The Triple Jump. Click Here To Register For The Pole Vault. Click Here To Register For The Jumpers Combine. 4) Requested Live Visual Critiques Of A Jump During The Flight Fest From One Of The "Flight Crew. 5) Private Video Analysis Of One Of Your Jumps. ***Please Be Aware - Our Checkout process will be under the name "Social Proof Consulting." If you pay by credit card it will be under "Social Proof Consulting." 1. Once You Click That Button You Will Be Taken To A Checkout Page. 2. 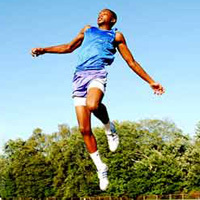 If You Are Only Doing The High Jump Then You Can Check Out. 3. If You Want To Choose Other Events To Compete In, Click The Continue Shopping Button You See. 2. If You Are Only Doing The Long Jump Then You Can Check Out. 2. 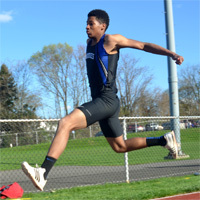 If You Are Only Doing The Triple Jump Then You Can Check Out. 2. 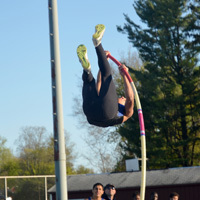 If You Are Only Doing The Pole Vault Then You Can Check Out. OK. You are probably wondering what the jumpers combine is. Click the button below to find out more. Once you do you can register for the combine from that page, or you can come back here and register for it by clicking the add to cart button below. 2. If You Are Only Doing The Jumpers Combine Then You Can Check Out. ***Please Be Aware - Our Checkout Process Will Be Under "Social Proof Consulting." If You Pay With A Credit Card It Will Be Listed Under Social Proof Consulting.